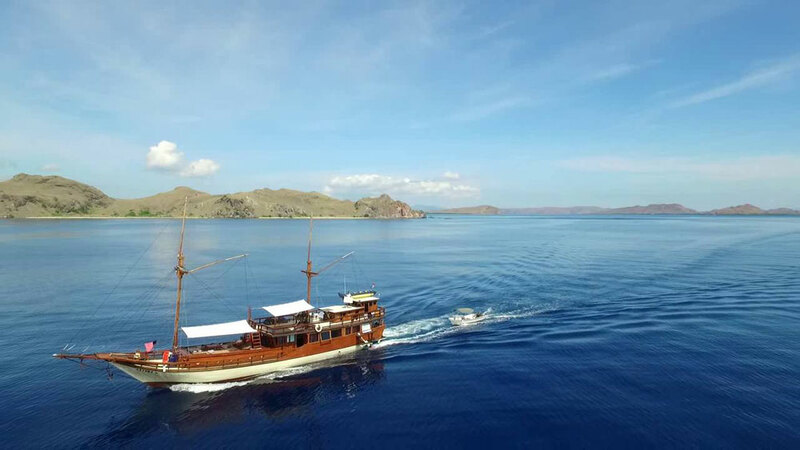 CAJOMA PHINISI III was constructed in 2014, a classic style of Phinisi Boat which was built by the local people using Iron Wood for base and Hard Teak Wood for upper structure. With the size 30 m length and 5 m width, the CAJOMA PHINISI III has two ship’s mast. The boat is equipped with 6D/16 or 6 Cylinder Mitsubishi Engine as the main engine, and two generators with 10 Kva and 7,5 Kva wattage power. Along with this Phinisi Boat, we have two speedboats that will complete and maximize our sea transfers. The boat consists of three private and air conditioned cabins which accommodate 8 people with toilets attached, the main lobby, kitchen, guide room, captain’s room, and separate crew’s area. Leisure deck is available at the front area and sundeck is on top.